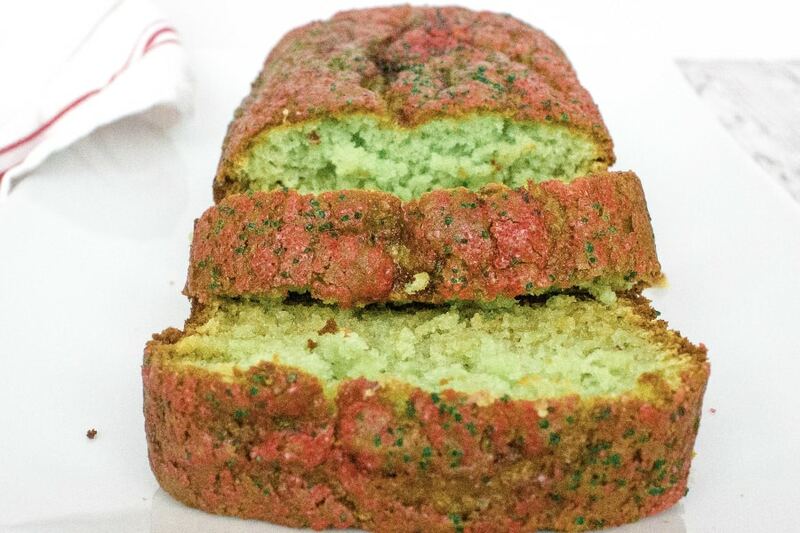 Pistachio bread is a lovely, festive dessert bread that makes a perfect gift for teachers, neighbors, friends, and family! 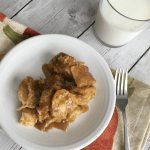 It’s an easy Christmas treat you can enjoy without a lot of work! Well, it’s officially Christmas around here! It may only be mid-November, but we pulled out our decorations yesterday and decked the halls. 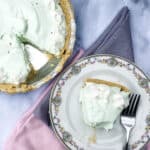 They love the fun, bright green color of the bread (what other holiday dessert boats such a hue?) and think it is just so fun. And so delicious! They gobble this stuff up faster than I can make it. I love how simple it is to make this pistachio bread during the busy holiday season–it’s basically a doctored up cake mix, so you know it’s quick and easy. Top it with some sprinkles for more color contrast, and your holiday dessert is ready to go! 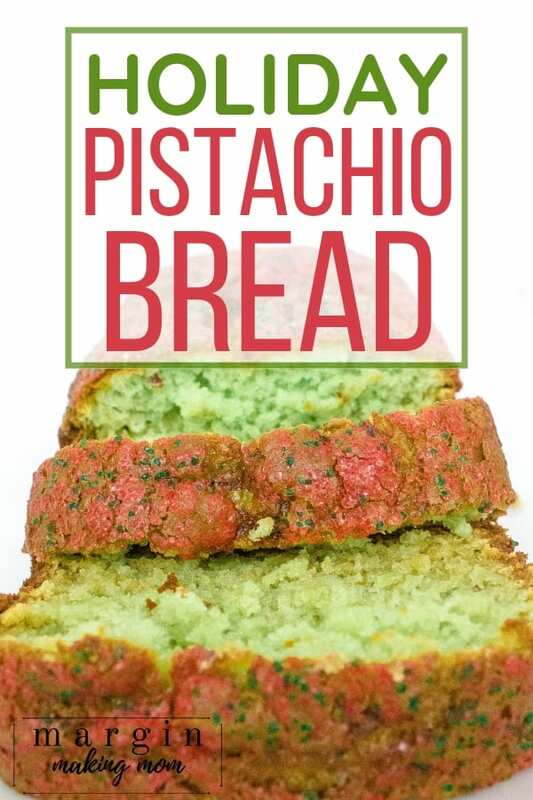 Now, obviously, making this pistachio bread is not limited to the holidays–it could certainly be enjoyed year round! I just think the pretty color makes it the perfect Christmas treat! And even though my kids call it Grinch bread, you won’t feel anything like the Grinch when spreading Christmas cheer with this tasty bread! 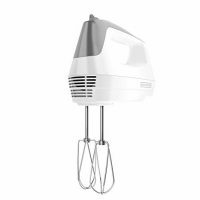 First, you’ll start with a box of yellow cake mix. 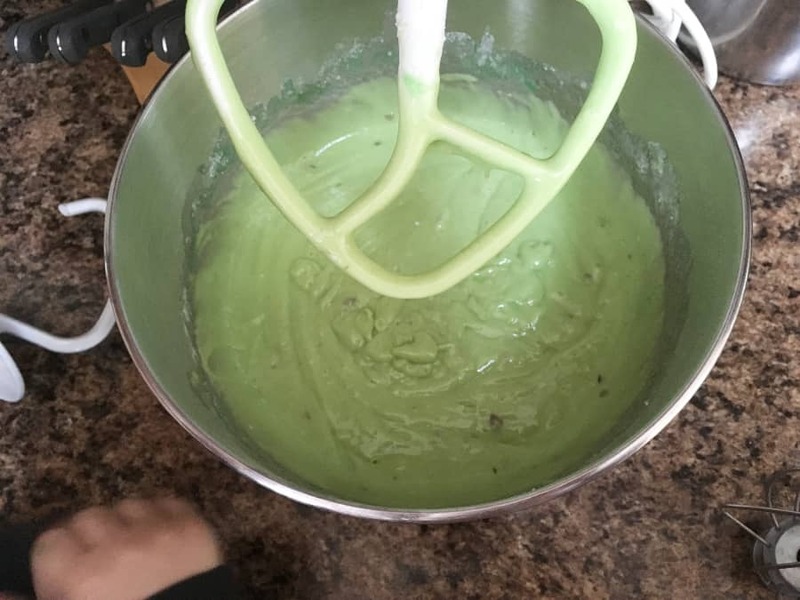 Add in three boxes of instant pistachio pudding, some hot water, vegetable oil, and eggs. 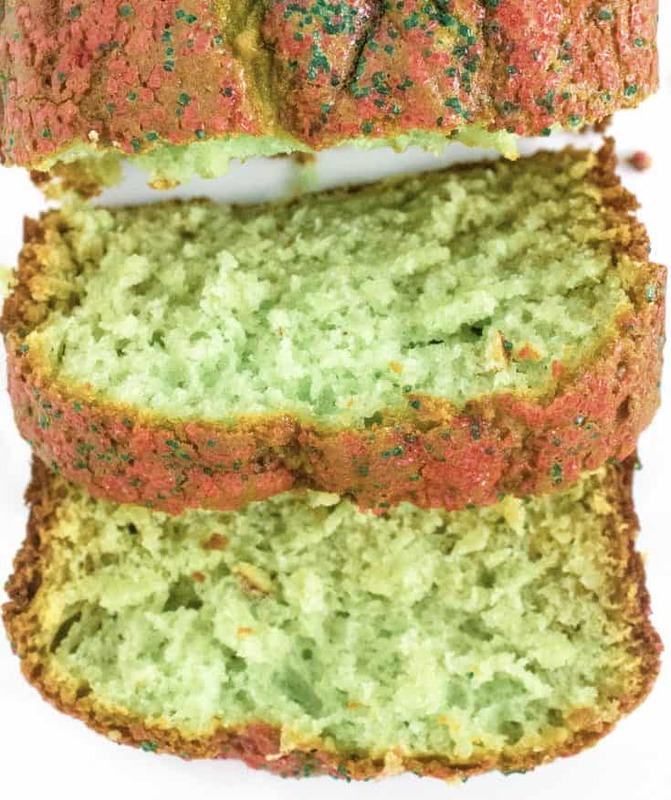 The pudding mix will give the bread a good bit of green color, but if you want to brighten it up a bit, you can add a few drops of green food coloring. Mix all of that together until it’s smooth and well-combined. 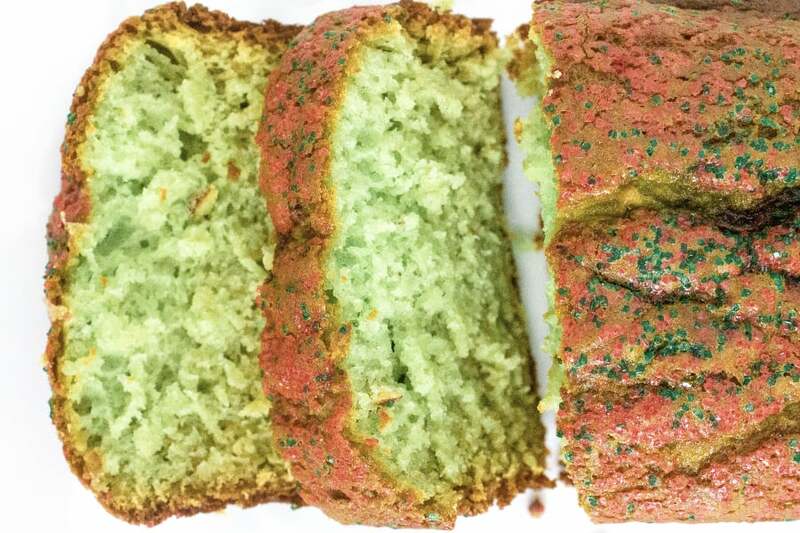 Pour it into greased loaf pans and add some fun sprinkles on top if you want to take the festive factor up a notch. Bake the pans for about 35-45 minutes (the time will depend on the size and type of your pans) until a toothpick inserted in the middle comes out clean. 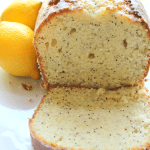 This bread makes a really fun, inexpensive, edible gift. Think teachers, neighbors, friends, coworkers, etc. (Obviously, just don’t give it to anyone with a nut allergy in their household). You can bake these in foil loaf pans, either full-size or mini-size, wrap with cellophane and a pretty bow or fun gift tag, and deliver Christmas cheer! 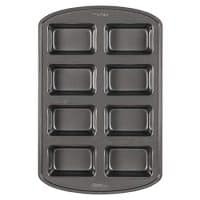 If baking in mini loaf pans, I recommend you start checking on them after 25 minutes of baking, because they will bake a little faster. Check on them every 5 minutes until the toothpick comes out clean. These freeze well! Wrap cooled, individual loaves tightly with plastic wrap and pop in the freezer until you need them. 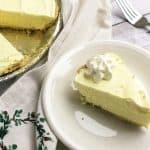 This is a great way to simplify your holiday baking, because you can make them ahead of time, or you can pull one out if you have unexpected holiday company! The green food coloring and sprinkles are optional, but I like the enhanced colors. 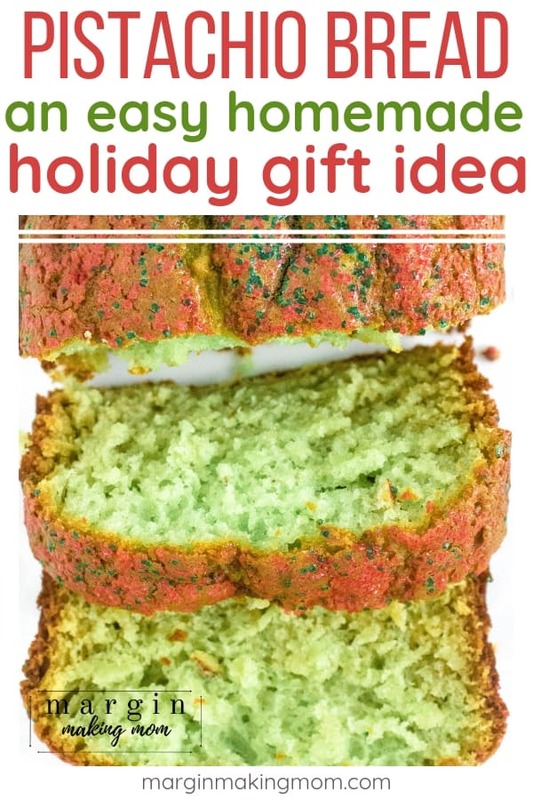 Pistachio bread is a lovely, festive dessert bread that makes a perfect gift for teachers, neighbors, friends, and family! 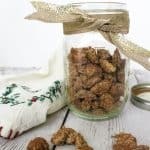 It's an easy Christmas treat you can enjoy without a lot of work! 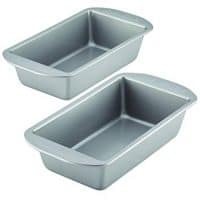 Grease two 9"x5" loaf pans (or 4-6 foil mini pans or desired combination thereof) and preheat oven to 350F. 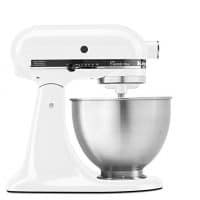 In the bowl of a stand mixer fitted with the paddle attachment (or in a large mixing bowl with an electric hand mixer), combine dry cake mix, dry pudding mixes, hot water, vegetable oil, eggs, and food coloring (if using). Beat on low speed for about 30 seconds, then increase speed to medium and continue beating for about two minutes. Divide batter among prepared pans. If desired, top with holiday sprinkles. Bake for about 35-45 minutes for full-size pans, or until a toothpick inserted in the center comes out clean. If using mini pans, begin checking on them at about 25 minutes, then continue checking every five minutes until a toothpick comes out clean. 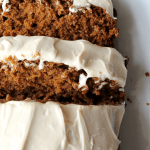 This bread makes a really fun, inexpensive, edible gift. Think teachers, neighbors, friends, coworkers, etc. (Obviously, just don't give it to anyone with a nut allergy in their household). You can bake these in foil loaf pans, either full-size or mini-size, wrap with cellophane and a pretty bow or fun gift tag, and deliver Christmas cheer!